When people hear “South Dakota” they often jump to an image of an endless prairie. Believe me, there’s plenty of that, but it does have a rich history and great beauty. I live in the Black Hills. 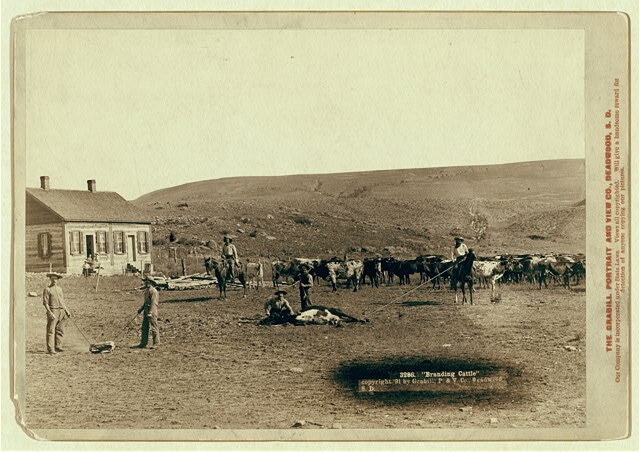 This is my town, Sturgis, around 1890. 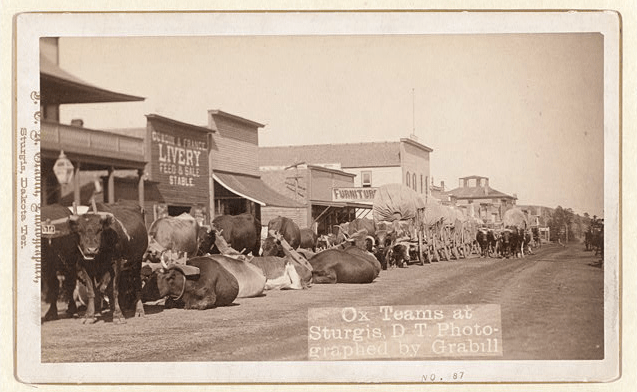 Surprisingly, it doesn’t look that much different today, just replace the oxen with motorcycles. This is the Corn Palace in Mitchell. I’ve never been there probably because it is a ‘palace’ made of corn, but don’t miss out on this live feed. Or do, because there is literally nothing happening on it. 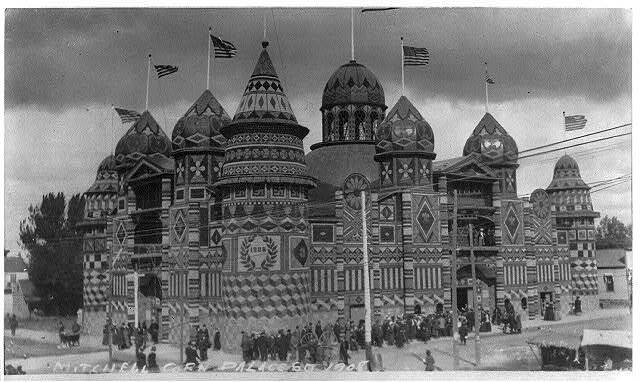 It is famous for being the ONLY corn palace in the whole wide world. I wonder why. Here’s a picture was taken during branding season a couple weeks ago, oh wait, it says 1891. It’s hard to tell cause some things never change. 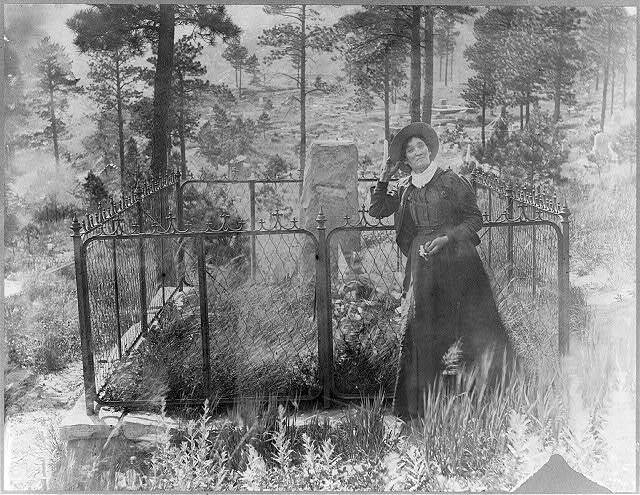 This is Calamity Jane in front of Wild Bill Hickock’s grave in what is now called the Mount Moriah Cemetery in Deadwood. Jane, Potato Creek Johnny, and Seth Bullock are buried beside Will Bill. Check this link for a few more old South Dakota pictures. This entry was posted in Blog Post, Daily Post Challenge, Photography, Uncategorized and tagged Daily Post Challenge, Photography, South Dakota. Bookmark the permalink.